Peggy Snow. “Grey Gothic Church”. 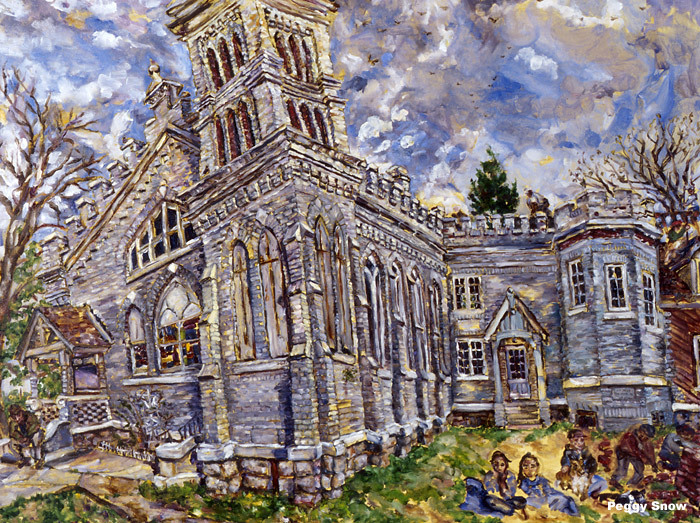 2004 oil on canvas 30"x40"
An incredible loss to the city of Nashville when this 1889 church designed by a prominent architect was knocked-down to make way for condos. A battle was fought and lost by preservationists in the city, and the beautifully-made church, still in good shape, was demolished.